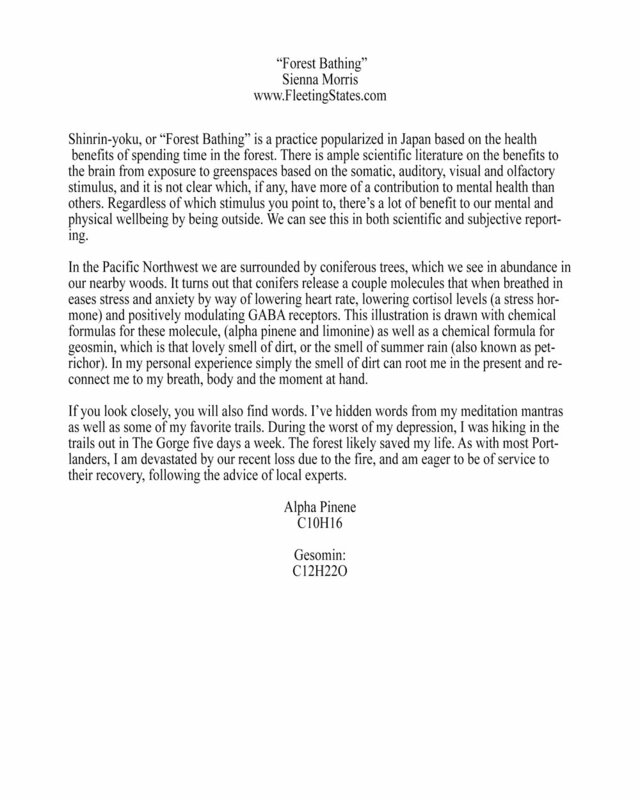 Forest Bathing is the act of full submersion in nature for emotional, physical and mental health. This is drawn with chemical formula for alpha pinene, a molecule released from coniferous trees which is known to lower cortisol levels when breathed in. A full description is included with all prints.